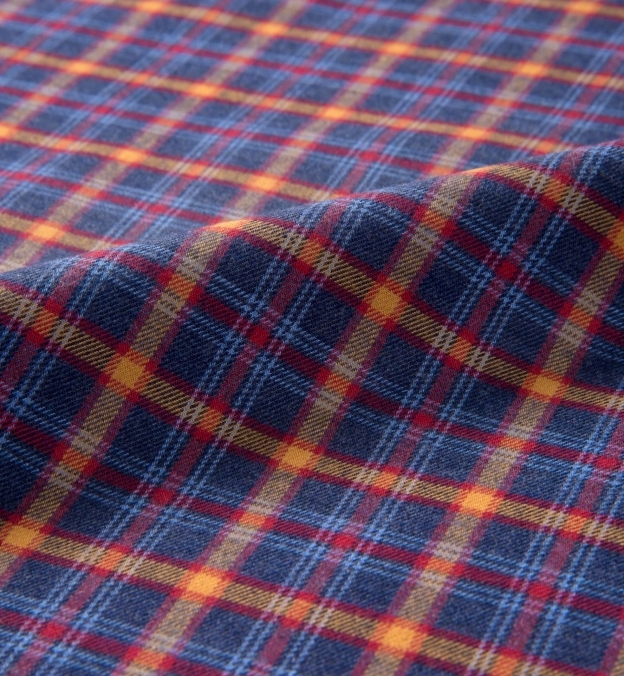 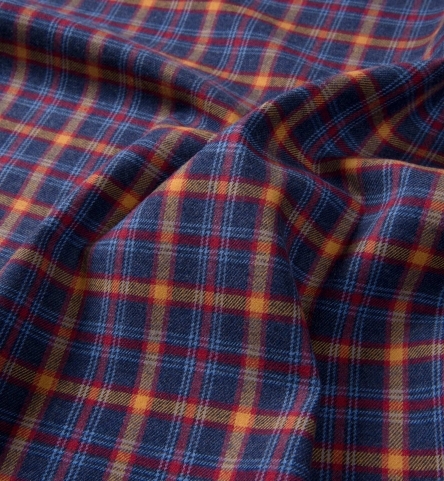 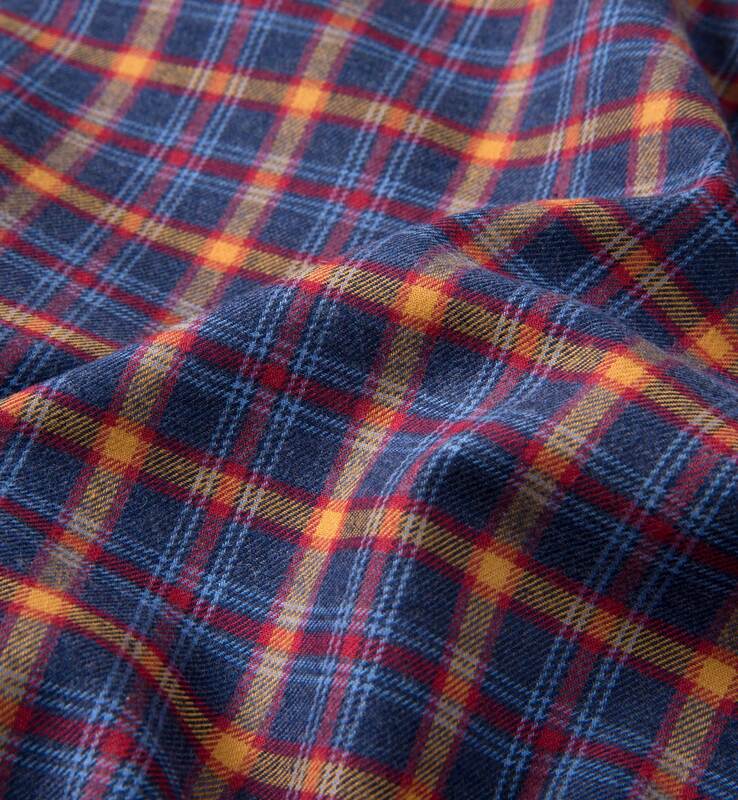 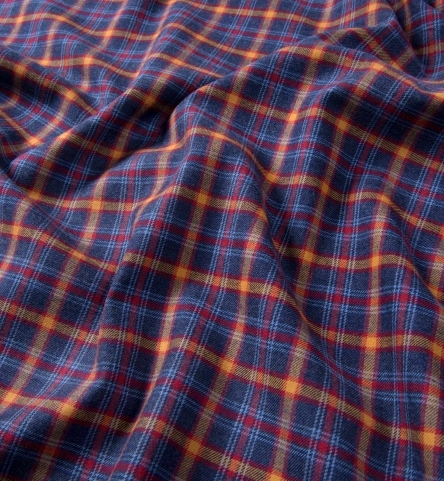 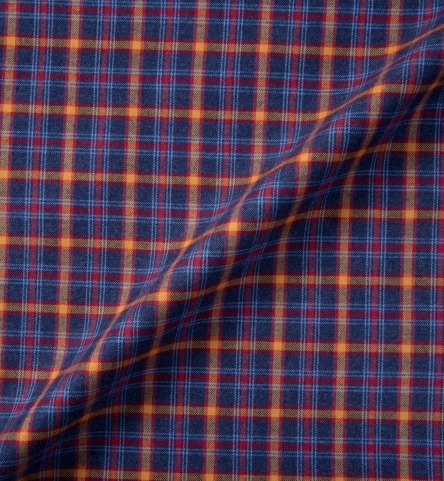 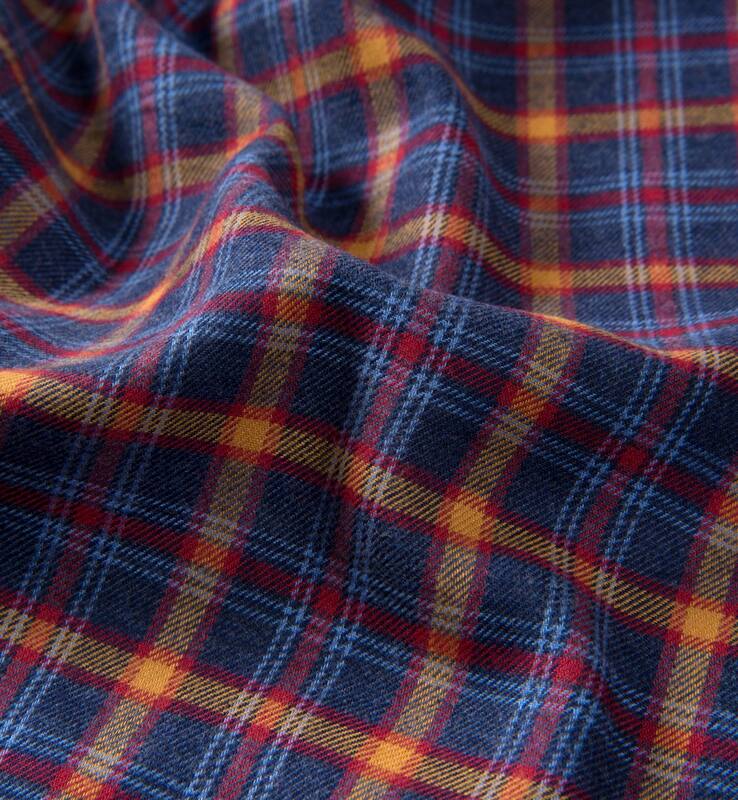 An incredibly soft flannel fabric with great heathered colors. 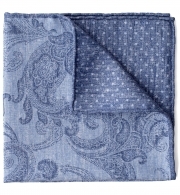 The different shades of blue work well with the gold and red to feel masculine and easy wearing. 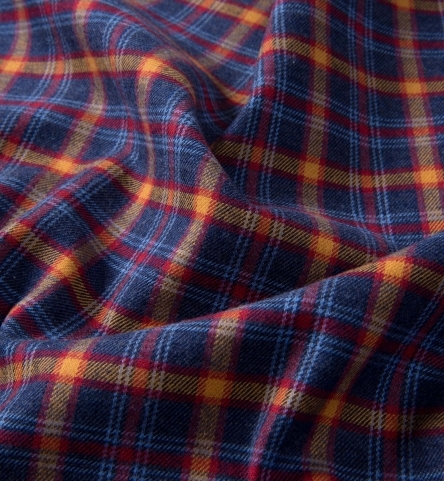 If you liked our Dock Street Flannel series, than you'll probably love this one. 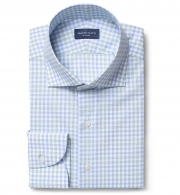 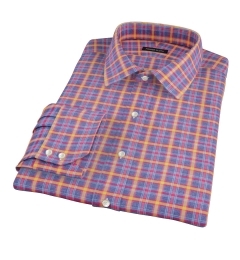 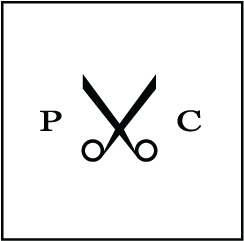 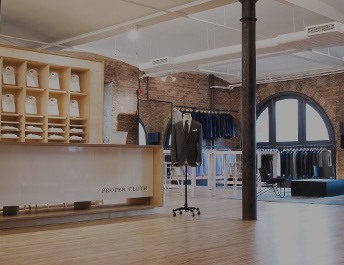 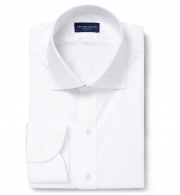 Don't forget to pick a soft collar, cuffs, and plackets for an awesome casual shirt.